﻿ Throughput Accounting Techniques Three Parts for focused learning. The creation of Throughput Accounting Techniques Three Parts, was gained from experience acquired after years of educating and training. The Three Parts are aimed at different levels of knowledge and enhance quick learning. 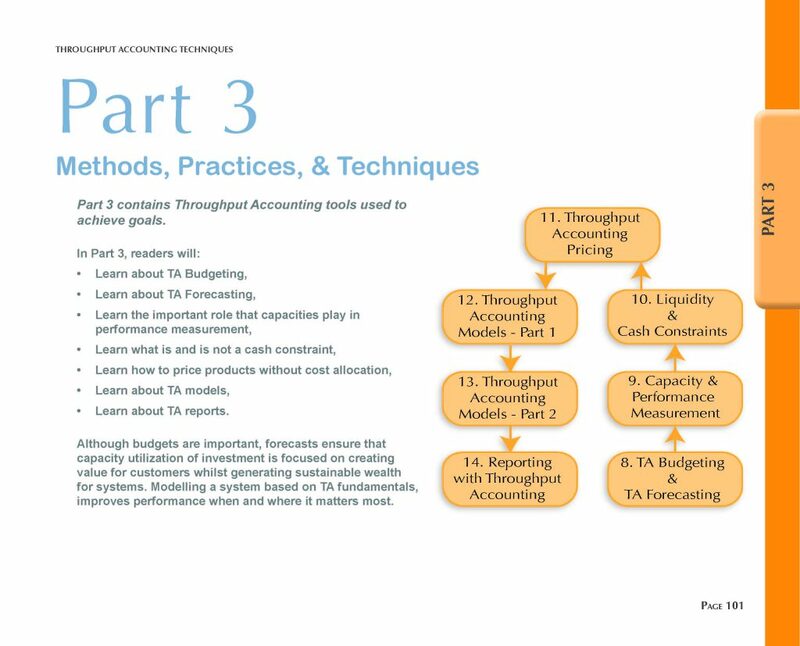 Part 3 discusses Throughput Accounting techniques, methods, and practices. 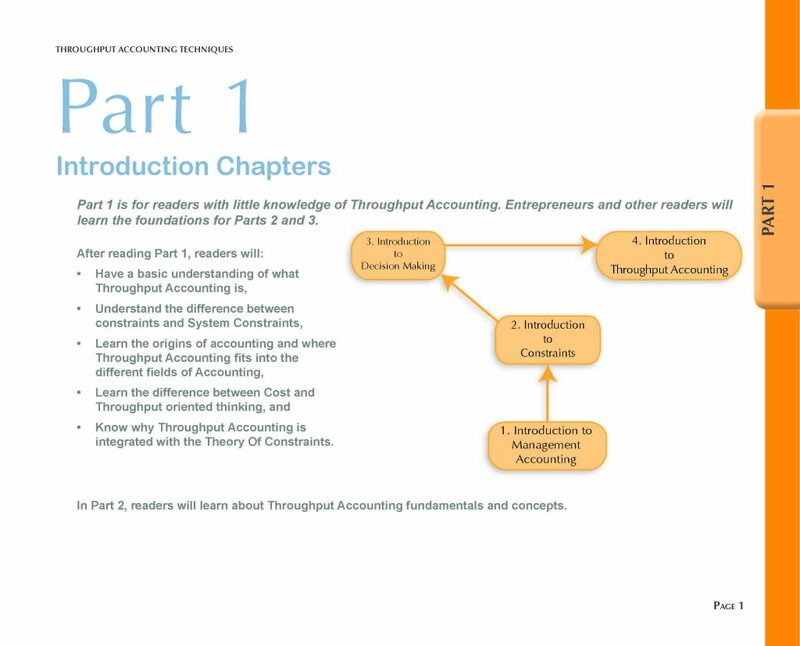 Part 1 consists of four introductory chapters for readers with no, or little knowledge, of Throughput Accounting. 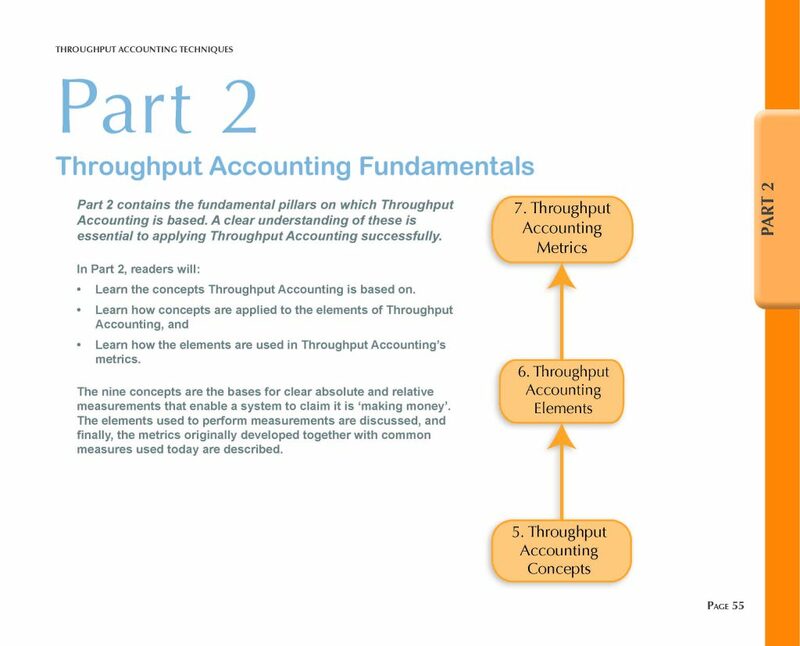 Part 2 consists of three very important chapters that define the fundamentals of Throughput Accounting. Part 3 contains a selection of techniques, starting with Budgeting, and ending with Reporting.